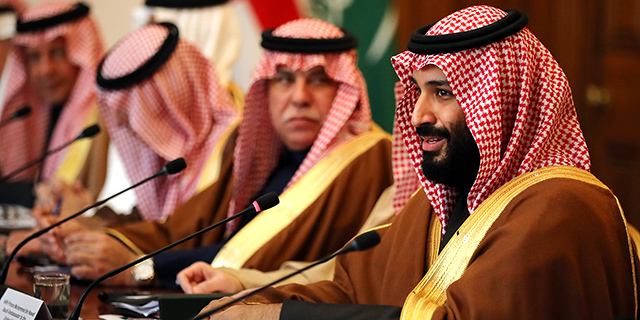 Since his father became Saudi Arabia’s king in 2015, Saudi Crown Prince Mohammed bin Salman has taken dramatic steps to change his country’s political and economic life. But the 32-year-old heir to the throne also has begun to soften the kingdom’s strict religious rules with a promise to return to “moderate Islam.” Among the changes he’s spearheaded: granting women the right to drive, reintroducing cinemas and curbing the sweeping powers of the religious police. Here are five facts about religion in Saudi Arabia — a country that is the birthplace of Islam and, as such, holds special importance for Muslims worldwide. 1 Saudi Arabia has a young and rapidly growing Muslim population. The kingdom has more than 30 million inhabitants, and roughly 93% of them are Muslim, according to Pew Research Center data. The country is officially a Muslim nation and most Saudi Muslims are Sunni. However, a Shia minority accounts for an estimated 10% to 15% of the population. Additionally, Saudi Arabia is a young country: In 2015, about 56% of the kingdom’s Muslims were under the age of 30. The number of Muslims in Saudi Arabia is projected to increase 51% between 2015 and 2050, though their share of the global Muslim population is expected to remain small at about 2%. 2Saudi Arabia is home to two of Islam’s holiest cities: Mecca, where the Prophet Muhammad was born, and Medina, where he is buried. Every year, during the hajj, millions of Muslims from around the world travel to Mecca to complete the six-day pilgrimage to the Kaaba shrine. While the hajj is required once in the lifetime of every able-bodied adult Muslim who can afford it, adherents of the faith also travel to Mecca during other times of the year to complete the shorter, voluntary umrah pilgrimage. 3The Saudi Arabian government follows an ultraconservative Wahhabi interpretation of the Quran. Wahhabism began as a social and religious reform movement in the 18th century and is closely associated with the founding and consolidation of the Saudi kingdom. Wahhabism calls for the literal interpretation of the Quran and includes strict enforcement of religious codes and practices. For decades, the Wahhabi doctrine has been upheld by clerics who run the judiciary and by religious police. But, recently, Crown Prince Mohammed has been pushing back against the clerical establishment and has even stripped the religious police of the power to make arrests. 4Government restrictions on religion are “very high” in Saudi Arabia, according to a 2017 Pew Research Center report that looked at religious restrictions as of 2015. The kingdom is one of 23 countries out of 198 included in the study to earn this distinction, along with countries like China, Egypt and Iran. The desert kingdom falls in this top category of restrictions because it meets many of the Center’s criteria; for example, the constitution doesn’t allow for religious freedom, the government interferes with worship practices, and religious symbols – such as dress – are regulated by law. Saudi Arabia also has a “high” rating on our Social Hostilities Index, which measures aggression by private individuals, organizations or groups in society, such as religion-related harassment and terrorism. 5Young Saudi women are among the most educated in the Muslim world. Despite laws that require women to have a male guardian – a restriction that generally hampers their social mobility and access to jobs – young Saudi women are more educated than their male counterparts. As of 2010, about a third (35%) of Saudi women ages 25 to 34 held at least postsecondary degrees, compared with 28% of men, according to a Pew Research Center report. That’s a big change from previous generations. For example, only 3% of Saudi women ages 55 to 74 had gained higher education, versus 16% of men in that age group. While this recent educational progress hasn’t brought Saudi women up to the level of the U.S., for example, where 48% of women ages 25 to 34 had a postsecondary degree, Saudi Arabia is nevertheless ahead of other power brokers in the region such as Egypt (19%) and Iran (16%).